With several years of experience in home care we utilize our passion and experience to provide dignified, coordinated home health aide, companion care, homemaking, transportation and medication reminders to seniors and mentally and physically challenged adults. 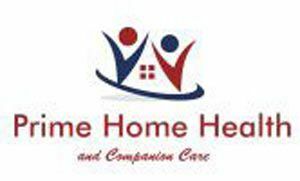 Through coordinated care and support for clients and their families, Prime Home Health and Companion Care enables individuals to remain in the safety and comfort of their own home for as long as possible. Our services can serve as a transition back from an assisted iving setting or hospital, nursing home or rehab as well. Our staff is screened and educated in the services they provide. They have ongoing inservice requirements to complete for continuous education. Should the need arise, our staff is available to provide care in the the patients home, hospital or other facility. Accredited Member of Health Care Alliance of Ma. Member of Brain Injury Association of Ma.